Exemplar Accounting and Tax Advisors offers business valuation services for a variety of situations, like forming a deal for the sale of a business or to develop a buy-sell agreement. We also provide business valuations for all types of litigation including prenuptial agreements, divorce proceedings, and fraud investigations. No matter what the reason, we can interpret your financial data and deliver conclusions that best represent the present state of your business. Our comprehensive process employs our years of accounting experience along with the highest standards in business valuation. 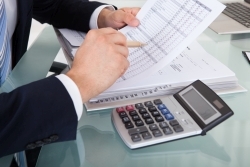 First, we methodically analyze your financial data including tangible and intangible assets. Next, we consider how your industry and other economic factors impact the overall value of your business. Finally, we carefully weigh all this information to calculate the current business value and document our findings in a detailed report. Our Crystal Lake, IL CPA firm is highly qualified to perform business valuations and is Accredited in Business Valuation (ABV). Call us today at 815-459-6720 to learn more or request a free initial consultation online and we'll contact you to set up an appointment. We provide valuations for a wide variety of situations. Find out how we can serve you! Call 815-459-6720 or request a free consultation now. Receive helpful financial tips, tax due dates, and tax strategies in your inbox from our CPA firm. © 2019 Exemplar Accounting and Tax Advisors - Accountant websites designed by Build Your Firm, providers of CPA and accounting marketing services.